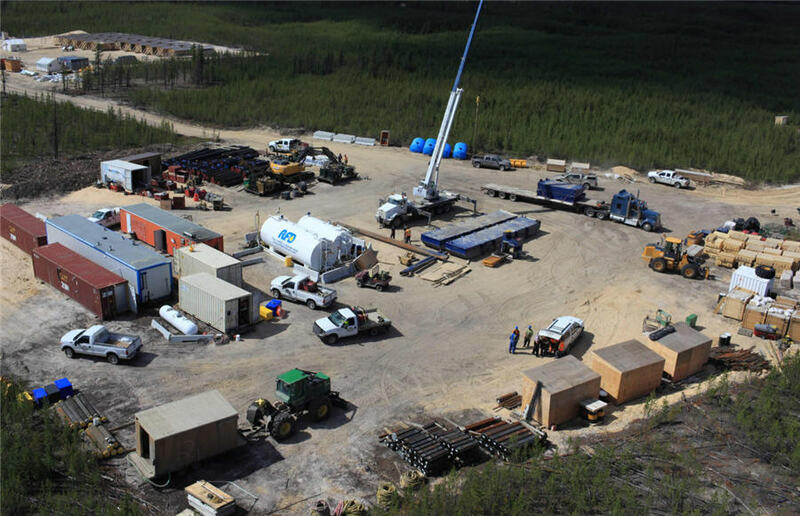 Fission Uranium (TSX: FCU) has tabled a prefeasibility study (PFS) for its Patterson Lake South uranium project in Saskatchewan’s Athabasca region, outlining an open pit and underground hybrid operation. It’s working on a preliminary economic assessment (PEA)-level underground only scenario that it says could offer improved economics. The PFS assigns the project a $693 million after tax net present value at an 8% discount rate and a 21% after-tax internal rate of return. According to the study, the project would produce 87.5 million lb. uranium oxide over an eight year mine life. At US$50 per lb. uranium prices, it would generate more than $5.4 billion in net revenue at $9.03 per lb. uranium oxide average operating costs. It would require $1.5 billion in initial capital. The study also included a maiden reserve estimate for the project. Patterson Lake South now contains 2.8 million probable tonnes grading 1.42% uranium oxide for 90.5 million lb. uranium oxide. The PFS scenario would take four years to build and involve a dyke and slurry cut-off wall to create an open pit in the middle of Patterson Lake. The PEA scenario would take three years to build and eliminates the need for a dyke and slurry cut off wall, but sacrifices some indicated resources to a crown pillar. The PEA case has a $696 million after tax NPV at an 8% discount rate and a 26% after-tax IRR. Under that model, the project would produce 81.4 million lb. uranium oxide over a 7 year mine life at $9.57 per lb. uranium oxide operating costs. It would require $1.2 billion in initial capital. The company intends to progress the underground only scenario to the PFS level.